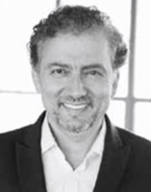 Nicolas Nicolaou is currently Chief Financial Officer at Mana Products, the world's leading contract and private label cosmetics manufacturer, based in Long Island City. Nicolas previously worked at Unilever for 17 years, where in his most recent position served as CFO of the Pepsi/Lipton Partnership, a $500 million joint venture. Prior to Unilever, Nicolas was at Deloitte in New York City. He earned a BBA in Accounting from Baruch College and an MBA in International Finance from St. John's University. He is a licensed CPA in the state of New York. Nicolas has a wealth of diversified, dynamic and action-oriented leadership experience in consumer products. His expertise includes strategy development and execution, performance management, process reengineering, operational excellence, M&A, internal controls, innovation and new product launches, organization design and talent development. Nicolas is the President of the Cyprus-US Chamber of Commerce and serves on the Foundation Board of LaGuardia Community college.